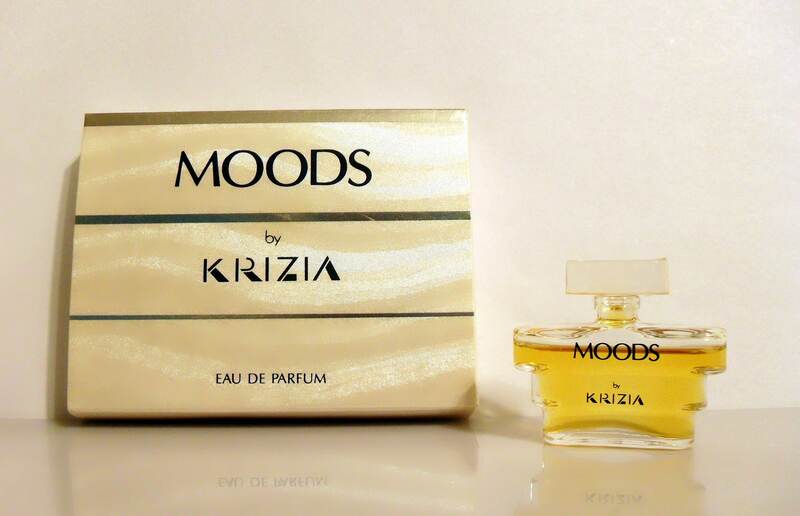 Vintage 1980s Moods by Krizia 0.17 oz Eau de Parfum Splash Miniature Mini Perfume Bottle and Box. The bottle is about 85% full - see photo for actual fill line. 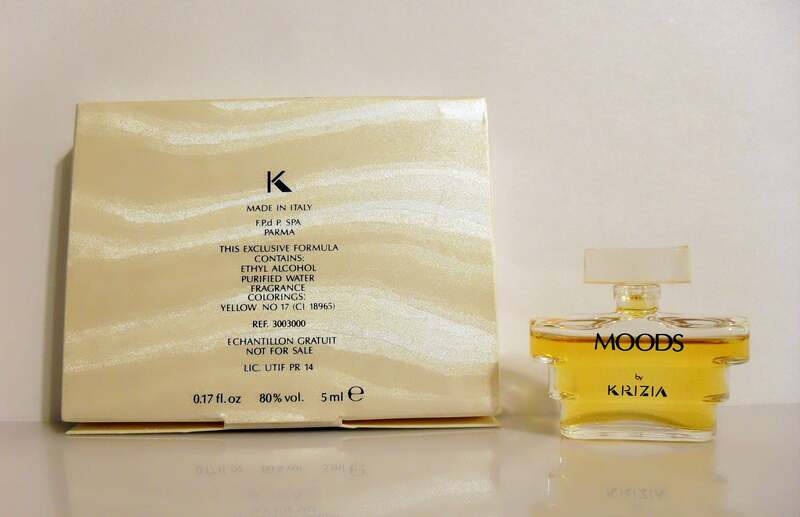 Launched in 1989, it is classified as a floral fragrance for women. 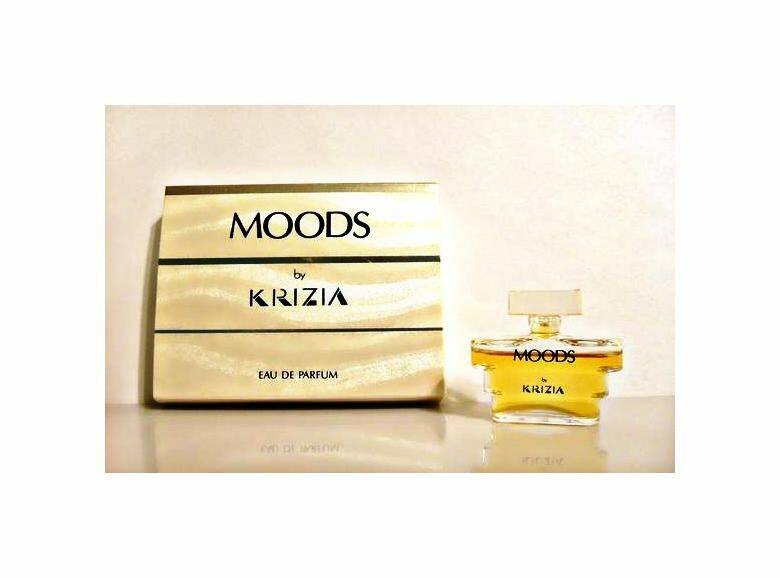 Discontinued and hard to find.